20 Best Places to visit in Malaysia! Malaysia is divided into two main sections—the West Malaysia and East Malaysia. If you are planning your next trip and want to see some spectacular nature, this country has a lot to offer. There are lots of small charming villages with friendly people and delicious food for you to enjoy. 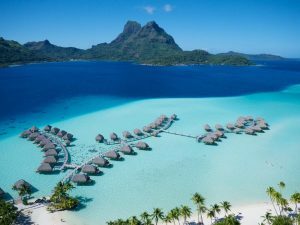 The tourism industry in this country has been steadily increasing over the years, and you will see why when you come here. There are all sorts of adventures you can have in Malaysia, regardless of which part you decide to visit. 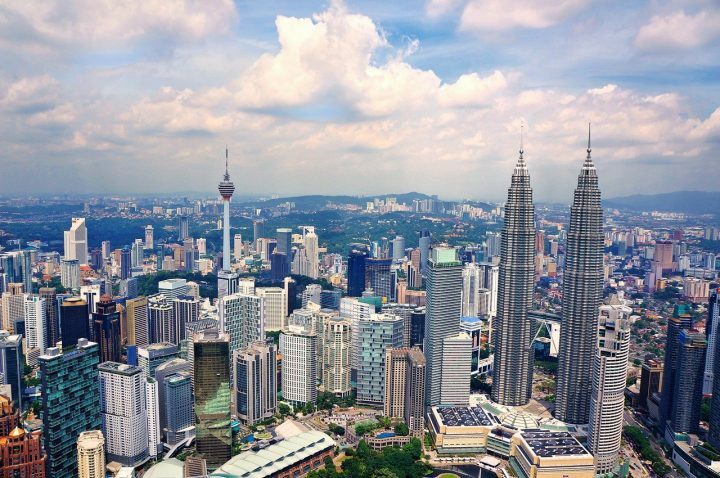 Kuala Lumpur is one of the biggest cities in Malaysia, and it has influences of Indian and Chinese cultures. As the country’s capital city, it has a number of interesting attractions, including Petronas Towers and Perdana Lake Gardens. The giant skyscrapers and beautiful gardens make for quite the interesting contrast. There are also a number of great places to eat in this area, offering something for everyone. Kelabit Highlands is a plateau with multiple large rivers going through the area, so it has a booming agriculture industry. A majority of the people who visit this area go hiking, and there is a lot to see. There are a number of small villages that have a unique charm that you will be sure to enjoy. If you are serious about hiking, you should try to tackle the highest peak in Sarawak. Gunung Gading National Park is just a two-hour drive from Kuching, and it has a reputation for having some of the most beautiful flowers in the entire country, including the Rafflesia. There is a lot of natural beauty in this park, and there are numerous hiking trails for you to experience it up close. There is even one area with a huge waterfall that is absolutely breathtaking. Semenggoh Nature Reserve is a uniquely beautiful place located only 20 kilometers from Kuching. If you are searching for a nice place to take a day trip to, this should be at the top of your list. You will see all sorts of interesting things here, including orangutans and other animals. This is a fairly long hike, so you will need to prepare yourself for quite a bit of exercise. Kuching is a big tourist destination in East Malaysia, and there are many interesting things to see. There is a Muslim mosque and the Chinese Tua Pek Kong Temple. This is known as the “cat city” because of the cat museum here. There is a huge market that opens on Saturday and ends in the afternoon on Sunday. This is one of the best places for a day trip to Malaysia. Bako National Park is located close to Kuching, and it is one of the best places in the entire country for seeing all sorts of wildlife. There are rainforests as well as sandy beaches that you can relax on. Many people come here to swim because of the clean crystal clear waters. There are also a lot of excellent hiking opportunities, especially in Malaysian Borneo. Manukan Island is located in Tunku Abdul Rahman National Park, and it is one of the largest islands in the area. Most of the people come here for the beach, and it is quite spectacular. If you feel like being lazy and catching some rays on the sand while in Malaysia, this is the perfect place to go. Snorkelling is a very popular activity here, and there are a lot of beautiful marine animals to see. Sipadan is one of the best places in the country for scuba diving, so you will need to keep that in mind if you are looking for a true adventure while on vacation. There are huge monitor lizards and so many other animals that will take your breath away. Lots of serious divers come here each year because of the amazing scenery, both above and under the water. Sepilok Rehabilitation Center is a one-of-a-kind attraction that is perfect for anyone who loves nature and animals. This place will allow you to get up and close and personal with a variety of animals that have been taken out of the wild for rehabilitation. There are numerous trails where you can see orangutans, a variety of birds, and much more. Kinabalu National Park is the tallest mountain in Southeast Asia, and it is a spectacular sight, to say the least. Many people come here from all over the world to climb and hike this mountain each year, and it is one of the ultimate adventures this country has to offer. If you are interested in climbing this mountain, it takes about two days. You can also just do a little bit of hiking, which makes for an incredible day trip. Gunung Mulu National Park is visited by hundreds of thousands of people each year, many of whom are tourists. This was a burial area a few thousand years ago, but today it is an excellent place for anyone who loves nature to hike through. There are many wild animals and hiking paths that you can go through to experience the wonders that this park has to offer. Penang is known for a number of things, including its incredible food, which you can sample on the street. Gurney Drive is a beautiful waterfront esplanade that you do not want to miss while you are here. There are some great Chinese and Indian restaurants in this area, making it an excellent overall place to go when in Malaysia. The scenery in this place is second to none, and it makes a day tripe perfect day trip. The Perhentian Islands are perfect for those who are on a tight budget and want to save as much money as possible while experiencing the incredible beauty that Malaysia has to offer. There are numerous islands that you can visit, but Perhentian Kecil is among the smallest. You will have a great time swimming in the crystal clear waters here. If you love scuba diving or kayaking, this is most definitely the right place to go. Malaysian Borneo offers some breathtaking landscape with green rainforests that are just waiting for you to explore. Here you will find orangutans, colourful birds, and a variety of beautiful wildlife. There are canopy walk options available for those who really want to experience all that this place has to offer. Anyone who loves spending time in nature should consider coming here. Malacca is one of the very best places in all of Malaysia to go for amazing historic and colonial sites. You will also find a ton of shops and museums in this area, which will teach you more about the history and culture of the country. This city was declared a World Heritage Site back in 2008 by UNESCO because of the many important historic places that can be found here. Taman Negara translates to “national park”, and it is quite a beautiful place, to say the least. Here you will find one of the oldest rainforests in the entire world. Those who come to this place will be able to enjoy the amazing scenery, including giant waterfalls and hiking trails that will take you through some truly breathtaking landscape. You will even be able to rent a cheap boat to get a better look at this place from the water. The Cameron Highlands have rolling green hills that you will not soon forget after leaving. These highlands have colourful exotic wildflowers and numerous hiking paths that will take you through the lush hills that draw in so many visitors each year. There are plantations and even volcanoes here. The butterfly gardens and strawberry farms are particularly nice, and you can walk through them whenever you want. Tioman Island can be found on the east coast, fairly close to Singapore. This island offers some of the best exotic beauty in this area of the world. There are a number of beaches that you can visit, and it’s highly recommended that you take the time to explore some of them. Rent a kayak and paddle around these crystal clear waters so you can experience just how incredible the scenery here really is. Langkawi is in the northwest corner of the country, and there are many attractions here that are perfect for the whole family. The largest indoor aquarium in Malaysia can be found here, Langkawi Sky Bridge what is a curved pedestrian bridge with the view of the Gunung Mat Cincang and Telaja Tujuh waterfalls, as well as Pregnant Maiden Lake, which is typically crowded with tourists for most of the year. Those who are looking for a classic tourist experience while in Malaysia will want to make a point of visiting this island. As the most populated state in Malaysia, Selangor is a booming area with numerous shopping malls and restaurants for you to enjoy. If you have had enough of hiking through the rural island hills, you will definitely want to try coming here for a bit. Here you will find the First World Hotel, which was at one time the biggest hotel in the world. There is also a theme park for the whole family to enjoy. Relax on the beautiful beaches and discover the mysterious forests that are the home of fascinating plants and animals. As you can see, in addition to rich nature, Malaysia also offers modern cities with varied multicultural societies and diverse history, unique cuisine and friendly people! I love your blog your describe all places very simply its easy for understand.